Lots of great products on the market this season and yours truly has been salivating over more than a few of those. In today’s post I will let you in on a handful of products that I have been eyeing to add to my ever growing makeup collection. Some are completely necessary and some are just for pure fun! My first “To Do” is getting the Anastasia Beverly Hills Glow Kit. Going for a not so bad $40 a pop, this baby comes in two shades – Glow and Gleam. Each kit comes in four metallic shades and from the looks of it Gleam is more on the rosy side, where as Glow has more of a traditional contouring kit color combo. I am going for the Glow. I am already rosy as is, so I need some basic shades to contour my a$$ off. What I really like about these, is that not only can you wear them as highlighters and eye shadow, but they are great for all seasons of the year. I can’t wait to get my hands on this baby! 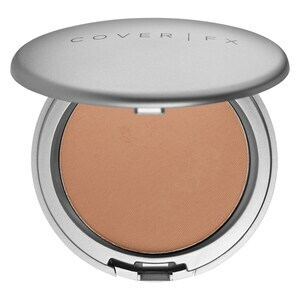 Cover FX Blotting Powder is a must for someone with an oily T- Zone and unfortunately I fall right into that category! Blotting sheets are not as effective as I would like, and using a facial tissue just removes foundation leaving your skin looking all uneven. I have had my eyes set on this gem for a while now and it is time to take the leap. This product is free of sulfates, parabens and loaded with vitamins and ingredients that are beneficial to your skin. So not only is it made to absorb the oil, but to moisturize and protect your skin as well. Guess what? It is also vegan and free of gluten. Who knew? I came across this product while on my hunt for eyeshadows. LORAC Pro Contour Palette & Pro Contour Brush are a perfect combo for those looking to make a leap into the contouring world. This palette consists of matte and shimmery shades that are perfect for creating sculpted features. Fragrance free, blendable and super pigmented (I highly advise not to go heavy) these powders will be a great addition and investment to my makeup collection. Christian Louboutin Matte Lip Color because I love anything Christian Louboutin! 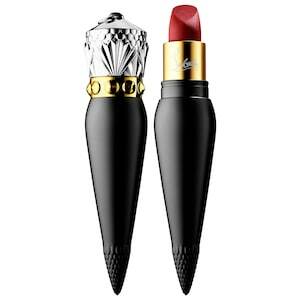 The casing is impeccable and I would go as far as saying that the entire lipstick is a work of art! So for that reason alone it is on my list and hopefully will be joining my makeup pile soon! No more reasons needed. What are your wishlist items?